The practice of propitiating a Dharma Protector (Sanskrit: Dharmapala) descended from ancient India. It was brought to Tibet by renowned translators who carried on their backs the great Indian Buddhist treatises along with other Protector practices such as Mahakala, Kalarupa, Vaishravana, Palden Lhamo, Setrap and so forth. This was how the Dharma Protector practice arrived and became established in Tibet. The term Dharma Protector is made up of two words – Dharma and Protector. Dharma is a Sanskrit term to denote law or doctrine. Dharma also means the teachings, code of conduct and philosophies that belong to a certain religion or belief system. Therefore, we can have Hindu Dharma, Christian Dharma and so forth. However Dharma is usually used in the Buddhist context, which is Buddhadharma or just Dharma in short. The word ‘Protector’ literally means one who stands guard to protect. Therefore, ‘Dharma Protector’ refers to the one who protects the Dharma in you. This is a special friend who acts as a guardian angel to safeguard our spiritual path and our general wellbeing. In Buddhism, we rely only on fully enlightened Dharma Protectors, which are numerous in the Tibetan Buddhist pantheon. Such Dharma Protectors are emanations of Buddhas and Bodhisattvas. This means that they are full of wisdom and compassion and this is why they have the great wisdom and skilful means to decide the best way to protect us and our spiritual path. A defining feature of a Dharma Protector is his or her wrathful appearance. In Buddhism, wrath reflects the innate quality of extreme compassion. In the teachings, such compassion is usually compared to that of a mother for her only child. In this analogy, the concerned mother is the Dharma Protector and the practitioner is the child. Naturally, this is purely symbolic of the nature of the Dharma Protector’s compassion and concern for our wellbeing. The Dharma Protector’s wrath also has an element of speed. This is natural and we can observe this within ourselves. When we become angry, we naturally move and react much quicker than usual. Therefore, the wrathful physical demeanour of the Dharma Protector denotes this element of swiftness when he comes to our assistance. The swiftness of the Dharma Protector depends on a few factors – the spiritual relationship we have with our teacher, the affinity we have forged with the Dharma Protector over time, and how well we keep our spiritual vows and commitments. The better we maintain these, the faster the Dharma Protector is able to come to our aid. Finally, the wrathful, martial-like physical appearance of the Dharma Protector is because he has to go to ‘war’ with our negative karma in order to help us. The Dharma Protector’s demeanour reflects his or her superhuman qualities of perseverance and tenacity in fending off our delusions, negativities and karma. Therefore, many Dharma Protectors are adorned with armour and carry weapons and implements symbolic of their special ability and strength to remove obstacles. The Dharma Protector thus becomes a Bodhisattva or an enlightened warrior that does battle with our negativities and obstacles. The role and function of a Dharma Protector is to eliminate problems and difficulties that block spiritual progress. As human beings, all of us encounter obstacles on a daily basis. It doesn’t matter if we are rich or poor, young or old, male or female, all of us have difficulties and problems. Most of the time, the problem can be very difficult or even impossible to deal with on our own. Therefore, a Dharma Protector is extremely helpful in reducing or removing our outer obstacles. In life, obstacles and problems can take on a variety of forms – from illnesses, accidents, failed careers, failing businesses, ailing relationships and marriages to issues with our loved ones. In this sense, a Dharma Protector’s divine assistance is very much needed by just about anybody. In the ultimate sense however, the core function of a Dharma Protector is to remove inner problems that are obstacles to our spiritual practice. Thus, Dharma Protector practice is a vital aspect of a practitioner’s spiritual path. This is because inner obstacles such as depression, laziness, doubts, anger, jealousy, wishing to give up and other emotional issues can easily lead us away from our spiritual journey. Most importantly, the actually Dharma Protector creates positive conditions for our spiritual growth. As human beings, we have unique needs and wishes that help keep us focused and centred on the path. 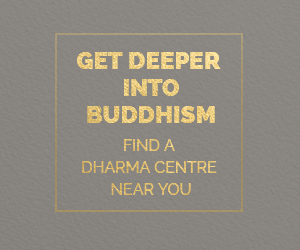 This includes finding a Dharma centre, meeting a Guru of an authentic lineage, connecting with spiritual friends and other resources such as monetary and material assistance and so forth. The Dharma Protector can also create conditions to ensure we avert friends and situations that can harm us or take us away from our spiritual goals. Even if we do not have big issues or problems to overcome, we may have friends and family who are going through difficult times. Thus through Dharma Protector practice, we can dedicate merits towards the removal of their obstacles. How Do Dharma Protectors Help Us? The Buddha is unable to remove all our negative karma and thus, the Dharma Protector is likewise unable to do so. However, the Dharma Protector’s power in coming to our aid lies in the purification of negative karma and merits that are accumulated through his practice. Hence, Dharma Protector practice generates merit and a connection to this enlightened being. This in turn creates the causes for the Dharma Protector to come to our assistance and for us to receive his help. An enlightened Dharma Protector has full compassion and is ever ready to come to our aid but he is hampered by our lack of merits. In other words, we need to do our part in generating merits so he can help us. One must first understand what merits are before going about generating it. Some people mistake merit for good karma. In actual fact, good karma is not merit; there’s a big difference. Good karma is created through ordinary beneficial actions while merit is collected through beneficial actions that are dedicated towards virtuous purposes, such as the attainment of full Enlightenment. Merits keep on increasing and can never be depleted while good karma will be exhausted after coming to fruition. An analogy to illustrate this is keeping money at home versus keeping money in the bank. The money at home will eventually be used up while the money saved in the bank will multiply through interest. Thus, saving at home is the generation of good karma and saving in the bank is the generation of merit. From understanding merit, we can then accumulate it through relying, making offerings, visualising and reciting the Dharma Protector’s mantra, propitiation prayers and verses. Through the generation of merits, the Dharma Protector is able to activate our positive karma and also hold back heavy negative karma from ripening. The Dharma Protector does not eliminate our negative karma but temporarily holds it at bay so that we have the opportunity to purify it until the karma is diminished or completely purified. This is how an enlightened Dharma Protector protects us. In Buddhism, we rely on fully enlightened Dharma Protectors, as they have great wisdom and skilful means to decide the best way to protect us and our spiritual path. Protectors help us to purify negative karma and generate merits as protector is hampered by our lack of merits. We can accumulate merit through relying, making offerings, visualising and reciting the Dharma Protector’s mantra, propitiation prayers and verses. Through the generation of merits, the Dharma Protector is able to activate our positive karma and also hold back heavy negative karma from ripening. The Dharma Protector does not eliminate our negative karma but temporarily holds it at bay so that we have the opportunity to purify it until the karma is diminished or completely purified. This is what I learnt from this post. 1. In Buddhism , we rely on enlightened Dharma protectors because they have Wisdom and compassion. They can truly help and knows what’s best for us in our spiritual path. 2. Dharma protectors are usually depicted in wrathful forms because it is an expression of extreme compassion and element of speed. When we get angry, we generally move and act fast. That’s why when we request assistance from them, they are very swift. 3. Dharma Protector is suitable for everyone no matter rich or poor because we have our own obstacles, inner and outer. Dharma protectors remove those obstacles of our life and our emotional obstacle so that our spiritual practice can grow. 4. Dharma Protector can help us when we do our part which is purify negative karma and collect merits. By creating merit and causes , then the dharma Protector can help us. 5. Good karma and merit is different. By just doing good deeds without virtous motivation, we get good karma. With correct motivation and virtous deeds, we will create merit when we go good deeds. Merit is the better one that multiplies over time that is beneficial to our spiritual growth. Dharma Protector is like a Guardian Angel. How fortunate to have a Protector to teach us and guide us on our Spiritual Path. Not forgetting that my Dharma Protector is none other than Lord Dorje Shugden who is an emanation of Manjushri. 1) Dharma Protector helps to eliminate problems and difficulties that block our Spiritual path. 2) Dharma Protector helps to remove outer and inner problems which we face every day. 3) Dharma Protector’s aid in helping us also lies in the purification of our negative karma and merits that we accumulated through the practice. 4) By practicing Dorje Shugden we can request for clearing of our obstacles for He is an Enlightened Being and who is full of compassion and is ready to help us. 5) Dorje Shugden is swift in fulfilling our wishes as well. Having said the above, for us to request help from Dorje Shugden we need to do our part in generating merits so He can help us. Through generating merits the Dharma Protector is able to activate our positive karma and hold back our negative karma from ripening. Dharma Protector helps us to hold our negative karma at bay so we can have theoutrun opportunity topee purify it. This is how an Enlightened Dharma Protector helps us. This is how Dorje Shugden as an Enlightened Being and an emanation of Manjushri helps us through Compassion and Wisdom. We are fortunate to have fully-enlighted Dharma Protectors like Dorje Shugden to protect us on our spiritual journey. They are full of wisdom, compassion and skilful means to help us most effectively. 3) how well we keep our spiritual vows and commitments. The wrathful, martial-like physical appearance of the Dharma Protector also reflect his or her extraordinary qualities of perseverance and tenacity in fending off our delusions, negativities and karma. The role and function of a Dharma Protector is to eliminate our inner and outer obstacles that block our spiritual progress. In short, Dharma Protector creates positive and favourable conditions for our spiritual growth. Through Dharma Protector practice too, we can dedicate merits towards the removal of our family’s and friend’s obstacles. The Buddha and the Dharma Protector are unable to remove all our negative karma. However, the Dharma Protector’s power in helping us depends on the purification of negative karma and merits that are accumulated through his practice. With merits, we can develop stronger affinity with an enlightened Dharma Protector in order for him to come to our aid. There’s a big difference with good karma and merit. Good karma is created through ordinary beneficial actions while merit is collected through beneficial actions that are dedicated towards virtuous purposes, such as the attainment of full Enlightenment. Merits continue to increase and can never be depleted while good karma will be exhausted after coming to fruition. From understanding merit, we can then accumulate it through doing Dharma Protector practices by relying, making offerings, visualising and reciting the Dharma Protector’s mantra, propitiation prayers and verses. Through the generation of merits, the Dharma Protector can then activate our positive karma and holds back heavy negative karma from ripening. The Dharma Protector does not eliminate our negative karma but temporarily holds it so that we have the opportunity to purify it until the karma is completely purified. This article emphasized the importance of doing dharma protector practice regardless of what our religion is, to incorporate it into our daily sadhana or prayer along with black tea offerings, recite kawang and dedication to seal merits accumulated and defer negative karma from ripening. Important to note that NOT even Buddhas or Bodhisattvas nor dharma protector can remove all our negative karma or obstacles but by us putting in our EFFORT to do dharma protector practice, can and will help us eradicate all our daily obstacles, problems and issues. I observed many ‘social’ Buddhist practitioners who make incense offerings in a temple once a year and pray on that day with the wish to find ‘Quick Fix’ solutions to their problems. So sorry to write this but their wishes may come true for them only temporarily but in the long term, the underlying problem has not gone away and may resurface at a later stage. I rather find the ‘root’ of my problems and get rid of it once and for all, with the help of dharma protector, for I can generate more ‘merits’ by dedicating to a higher motivation of virtue towards enlightenment to benefit others. I have seen how Dorje Shugden dharma practice has helped many solve their daily issues like illness, avoid death related accidents, save life, find employment, opportunity to increase wealth or monetary means and the list goes on. It is due to the kindness of my spiritual teacher, Tsem Rinpoche and his devotion to Dorje Shugden, that I can do this dharma protector practice to smooth my spiritual path to increase merits and have a calm stable mind to learn and practice dharma. 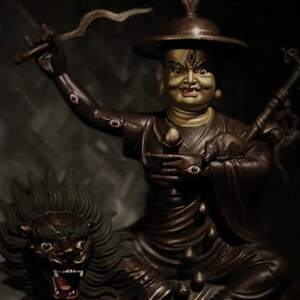 As highlighted above, the enlightened dharma protector Dorje Shugden embodies both wisdom and compassion to help us in our spiritual path with few obstacles in our life. We need to continue to put in effort to have good guru devotion, create affinity and practice to receive swift assistance from dharma protector like Dorje Shugden. Many Dharma practitioners rely on Dharma Protectors when they seek protection from fear. A Dharma Protector is an emanation of a Buddha or a Bodhisattva whose main functions are to avert the inner and outer obstacles that prevent practitioners from gaining spiritual realizations, to arrange all the necessary conditions for their practice and to protect the Dharma within a practitioner’s mind. Dharma Protector has full compassion and is ever ready to come to our aid . We have to do our part to generate merits to receive his help. To receive his full protection we must rely fully upon them with unwavering devotion.His wrathful appearance indicates that he destroys ignorance and remove the obstacles of pure Dharma practitioners. There is a difference of good karma and merits. With pure motivation and virtuous deeds, we will create merit when we do beneficial actions and dedicate them towards virtuous purposes. Merits will multiply over time while good karma will be exhausted over time. Therefore we can accumulate merits through relying, making offerings, visualising and reciting the Dharma Protector’s mantra, propitiation prayers and verses. Through the generation of merits, the Dharma Protector is able to activate our positive karma and also hold back heavy negative karma from ripening. The Dharma Protector cannot eliminate our negative karma but only can delay it from ripening until we have the opportunity to purify them. We are so fortunate that through the kindness and compassion of our precious and beloved Guru, H.E.The 25th Tsem Rinpoche, we are able to receive Dorje Shugden practice. Dorje Shugden is an enlightened Buddha and an emanation of Manjushri. The practice of Dharma Protector descended from ancient India. Dharma Protector is a special friend who acts as an guardian angel to safeguard our spiritual path and our general well being.They are full of wisdom and compassion and that is why they have great wisdom and skillful means to protect us and our spiritual path. The role of the Dharma Protectors is to eliminate problems and difficulties that block our spiritual growth. As human beings we are bound to have obstacles and have difficult problems which we are unable to resolve on our own.Hence the Dharma Protector is engage to remove our inner and outer obstacles. Most importantly the Dharma Protector creates positive conditions for our spiritual growth. However the Dharma Protector’s power in coming to our aid lies in the purification of negative karma and merits that are accumulated through his practice. It is utmost important that we should do our part to generate merits so that he can help us. We as human being no matter you are rich or poor, young or old, male or female, all of us have difficulties and problems especially in this degeneration age! Hence, we should learn, study dharma, practise dharma and apply to generate good karma and more merits till the stage of enlighthenment. As all our negative karma will block in our spiritual journey, in another words, I would say in this way–keep our problems or obstacle to a minimal level for us to have a swift and smooth spiritual growth. -remove inner and outter obstacle in our daily life. Inner obstacles refers to depression, laziness, doubts, anger, jealousy, emotional issues can easily lead us away from our spiritual journey. 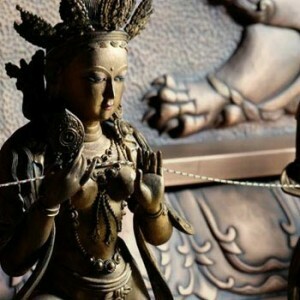 -Through Dharma Protector practice, we can dedicate merits towards the removal of our family’s and friend’s obstacles. We can receive Dharma Protector’s help through generate more merits via his practice. For me, I would say to have strong faith with Dharma Protector, you will have feeling he is always beside to help you. *Merits different from good karma. Good karma is created through ordinary beneficial actions while merit is collected through beneficial actions that are dedicated towards virtuous purposes, such as the attainment of full Enlightenment. **From understanding merit, we can then accumulate it through relying, making offerings, visualising and reciting the Dharma Protector’s mantra, propitiation prayers and verses. Through the generation of merits, the Dharma Protector is able to activate our positive karma and also hold back heavy negative karma from ripening. The Dharma Protector does not eliminate our negative karma but temporarily holds it at bay so that we have the opportunity to purify it until the karma is diminished or completely purified. This is how an enlightened Dharma Protector protects us. his is a very good article. Clearly explain on Dharma protector in a simple context. From this context, it enable me to understand that the function of Dharma protector is to protect our spiritual path. Come to think about that carefully, it is not easy for a protector to protect our path of enlightenment, seeing we have so many negative karma that created since many life times. Thus a dharma protector practice is important in helping us, guide us towards enlighten. To guide us towards the enlighten path, protector are so compassion to help us in solving our negative karma which we ourself have created, either in spiritual path or daily mundane matter. From outer obstacles to inner obstacles. How compassionate Dorje Shugden is! I always wonder, how protector help us in our bad situation. Why it is sometimes it seems protector are around to help, sometimes it is not. From this article, i understand how heavy is our karma, that without a protector there are no ways to learn how to purify the karma and collect merits. Through this article, i understand the important of a protector and i truly appreciate that i knew protector Dorje Shugden. I will introduce this protector to my friends and beloved so that they can be protected. When we understand the term of Dharma Protector, we can see that Dharma is a term means the teachings and code of conduct and philosophies to a certain religion or belief system, we can have Hindu Dharma or even Christian Dharma. Protector as we all know is a Guardian or in laymen term, body Guard. Dharma Protectors is a special friend, a guardian angel who protects and guides us in our spiritual journey. These “Guardian Angel” manifest in wrathful appearance, this wrath is different from what we perceive, the wrath that Dharma Protector Manifest is like the care of a mother for her Child, who cares for our well being, and our spiritual practice. 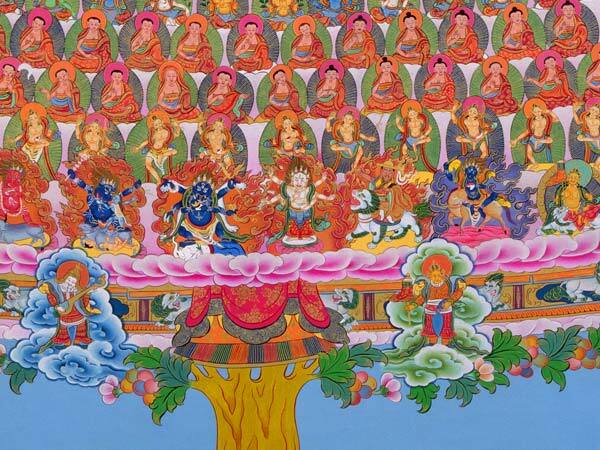 By manifesting in wrathful form, Dhama Protector can comes to our aid swiftly and fast. The swiftness of Dharma protector also depend on our samaya and keep our commitment with our spiritual teacher. The practice of Dharma Protector helps us to eliminate problem and difficulties that we face in our life, these problem blocks our spiritual progress, hence Dharma Protector compassion is to help us to clear away these problem and open a path that will guide us to the path of enlightenment, free from suffering. The practice of Dharma protector helps to reduce and remove our inner and outer obstacles. These obstacles can manifest as emotional issue, laziness, doubt and anger. And also outer obstacles such as illnesses, accidents, failed careers and failing businesses. Dharma Protector practice is not mere propitiating of a deity, but we are creating a bond with an Enlighten Being who can help us in our spiritual growth and help us in our daily life. At this degenerate age we believe we have accumulated a lot of negative karma from our endless previous lives actions. It’s not easy for one to focus in our dharma learning and practice or even to meet the dharma. So if we are fortunate enough to meet the dharma then we need a guardian angel the protector to create the conducive condition to help us and support our practice. Dharma protector is the one which can help us to hold on our negative karma and let us catch the time to collect merits and purify our negative karma. We need to do our part in order to enable the protector to help us. We are fortunate in Kechara that we met our kind guru HE the 25th Tsem Rinpoche who pass down the protector practice Dorje Shugden to help us in our circular life as well as our spiritual growth. This is a very beneficial site for more people to read and understand the true nature of Dorje Shugden, that is, enlightened mind. The powerful of the Dharma protector is remove our inner obstacle which are the most difficult for us to do that. and at the same time create good condition for our spiritual path. Therefore Dharma Protector not only clear obstacle but provide good things such like Dorje Shugden. We do not have enough merits to see the Buddha but Dharma Protector practice has made the connection to the enlighten one. This is because we have enlighten Dharma Protector such like Dorje Shugden. Dharma Protector can hold our bad karma for us to have time to purify it with the condition we must also have enough merits, this is very powerful, it cut short our time in samsara. In shot our spiritual path can be smoother by practicing the Protector practice well and clean samaya. I really love this article very much, very simple, easy understand and direct. As a pastor I had a lot of experiences and too witness many peoples because of Lord Dorje Shugden they are be safe. I used my own witnessed many patients who are lying down at bed but be cure after be blessed by Dorje Shugden. DS help so many people without telling the people. Who said DS is demon, when you have any problems, please don’t look for DS will help…sorry!!! Dharma protector like a bodyguard for all the practitioner, protect you away from sickness, marriage, health, financial problem and any differences, the reason Dharma protector will help us…only one reason because we are working on our spiritual path and push it growing. The Dharma protector Dorje Shugden will be a close friend with us if we have good samaya with our Guru. On top of that, DS also help us to clear up all obstacles which scientist, doctor and generally we cannot find a way to solve it. Whatever Dharma protector provided us is make sure we be protect through worldly concern and also included spiritual part. Thank you for the writer who wrote this article, it is very informative and I learned a lot from this article. May this article will be benefit more and more people. The concept of protector / guardian has a very long history in human culture. Since ancient time, mankind has long believed there is a higher unseen force/power that watched over us. However, the practice of dharma protector is quite unique to Tibetan Buddhism. 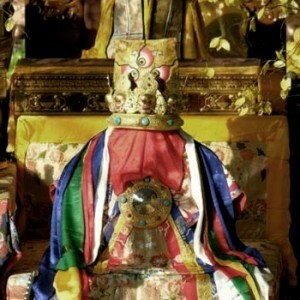 The details and specific purposes of dharma protectors are very elaborate and extensive. Some people believe that as long as we do good, that is enough. Yes, good deeds generate good karma but that is insufficient for the path to enlightenment. Good karma is still karma and like bad karma, it exhaust. Merit is much harder to gain as it requires a pure and virtouos motivation. I think one of the very important thing to note as stated in this article is that neither Buddha nor dharma protector is able to remove all our negative karma. I have read and heard of accounts where people gets angry with the gods or protectors/guardians when bad things happen or when help was not offered. It’s like we believed the gods owed it to us to extend help whenever we need it. When we have problems, who do we turn to? Usually it is to those people we have close relationship with. We don’t turn to someone we hardly meet or seldom speak to or a complete stranger. 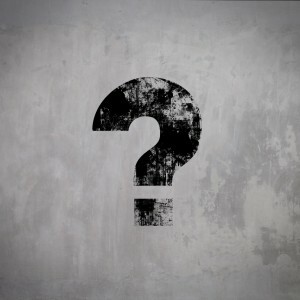 But when it comes to asking help from the gods or dharma protectors, why do we expect that we can walk into a chapel, light a few incense, say a prayer and our problems will be resolved? It’s illogical. However, yes it does happen sometimes to certain people due to their karma and also the dharma protectors are extremely compassionate. Similarly there are times a complete stranger could be the one who extend the help to solve your problem and not your closed ones. Dharma protectors exist solely to serve specific functions and if we engage in such practice, they will be able to help us effectively. I am extremely thankful that our lineage have such a powerful Dharma protector, Dorje Shugden to help us on our spiritual path. Without Him or the other protectors, it will be super hard to overcome our obstacles. Because our habituations and negative karma push us backward and they help us clear those obstacles and pull us forward. And not only that, they are there for us like a guardian angel whenever we propitiate them and ask for help eg.disturbances, angry, lost. Since young, I have always had this feeling of being protected and watched over. Although I dont know what it was then but I know someone is there watching. And I truly believe it was Dorje Shugden. They are indeed the bestest friend to have in every lifetime! Recently, I’ve introduced to Tibeten Buddhism then only I realised the existence of Dharma Protectors. Before this I was practicing “traditional Chinese” Buddhism, which we pray to the Buddha by offering candles and incense on certain days within a month. I’ve been benefiting by practicing Buddhism and also Dorje Shugden, the Great Dharma Protector. I’m not able to tell how Dorje Shugden helps me, but what I can tell and notice is that everything, included, my career,relationship, and more, everything is like extremely smooth, everyday is like my lucky day. Personally, I think this is the way how The Great Dharma Protectors, Dorje Shugden, is helping me by clearing my obstacles and helps me from overcoming those barriers that stop me from practicing Dharma and be a better person to benefit all sentient beings. Thank you for sharing this beneficial article which could bring Dorje Shugden to more people who need his helps. 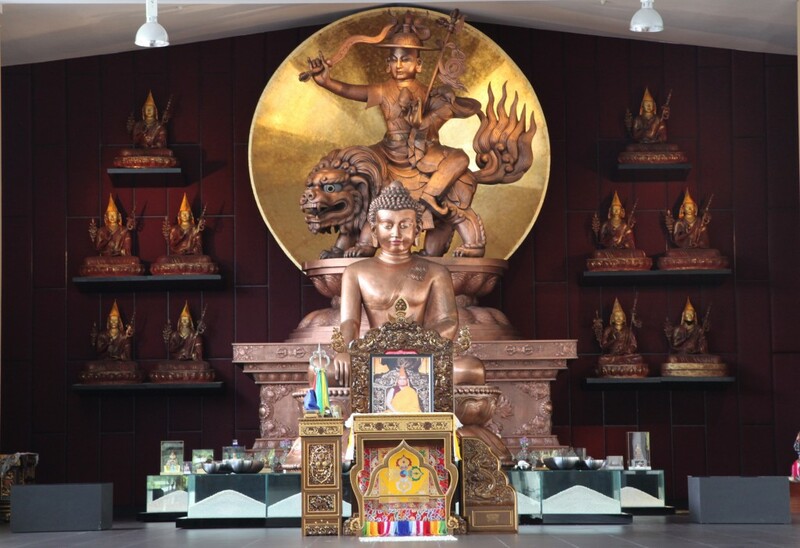 Thank you DorjeShugden.org for this informative article about Dharma Protector. It offers informations and answered questions to those who are interested in Tibetan Buddhism and are curious and uncertain about the practise of Dharma Protector. I highly recommend this website to those who seek clarification to the Tibetan Buddhism. Dharma Protector practice is a support practice and not exactly the main practice. A practitioner ‘s main practice is hia or her Yidam practice. Yidam translates into Holder of our Mind and hence this is the practice that can lead us to enlightenment and it is the focus of practitioners. Protector practice complements by playing an effective role to help practitioners to overcome obstacles. All this is to ultimately prepare us to embark on our tantric practice that will set us on the path reach enlightenment within this lifetime. Understanding the true purpose of Dharma Protectors truly allow me to see the kindness of these being who become our guardian angels as we walk along our spiritual path. Dharma protector practice become more popular and efficiency this time for practitioner because it help to clear obstacle in our spiritual journey and create positive condition to help our spiritual growth. Some of the Dharma protector are direct emanation from Buddha or Bodhisattva such as Setrap direct emanation of Buddha Abitabha, Dorje Shugden emanation of Manjushiri and etc.., which we can rely on them to lead us to enlightenment path. Enlightenment protector also protect practitioner not falling to the three lower relm, by doing his practice purify our negative karma, collect more merit to increase wisdom, life span and good health to do dharma practice. However, is important finding suitable teacher, follow his advice and holding good samaya and close relationship with your spiritual teacher. Which you can communicate easy with your teacher in spiritual practice. I am very fortunate or I must have been collected some good karma to meet H.E. 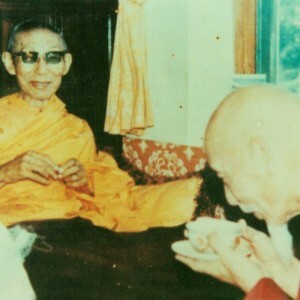 25th Tsem Rinpohce and receive Dharma from Rinpoche. Due to the negative karma we have, it’s hard to practice without a Dharma protector practice. Hence Dorje Shugden practice was given by Rinpoche to help us to achieve what we NEED in our circular and spiritual life. Why Dorje Shugden? Our affinity with Dorje Shugden in this life is very strong. Hence DS can help us swiftly. Dharma Protector to provide us a conducive conditions for us to practice Dharma. The Dharma protector can only help you when you rely fully on him. He will lead us to the correct spiritual path. Be sincere and hold our vows and samaya clean, DS will always be there to watch over us in this life, even in Bardo and all our future lives time. He will also connect us with our root Guru to make sure we continue our Dharma path. I have never know anything about Dharma Protector until I came to know about Tibetan Buddhism, I was grown up with only taught about there’s only 1 Buddha and 1 Bodhisattva that is Buddha Shakyamuni and Kuan Yin (in Tibetan name called Chenrezig). When I first went to kechara, I was shock to see there’s so many Buddhas, Bodhisattvas and Protectors. The first Dharma Protector that i know is Setrap, the wrathful emanation of Amitabha. I start to like him very much, because firstly, he look like Kuan Kong (A Chinese god) which I like Kuan Kong a lot since young, secondly is when I started to recite his mantra, i saw how things changes in my life and my mind, that time, I told to myself that how lucky I was to have known Protector Setrap and Dorje Shugden, they are both very great Dharma Protector who always pull people nearer to Dharma. Dharma Protector, who protect the Dharma in you. Thank you Admin for sharing this article, it was explained in so detail and easy to understand. 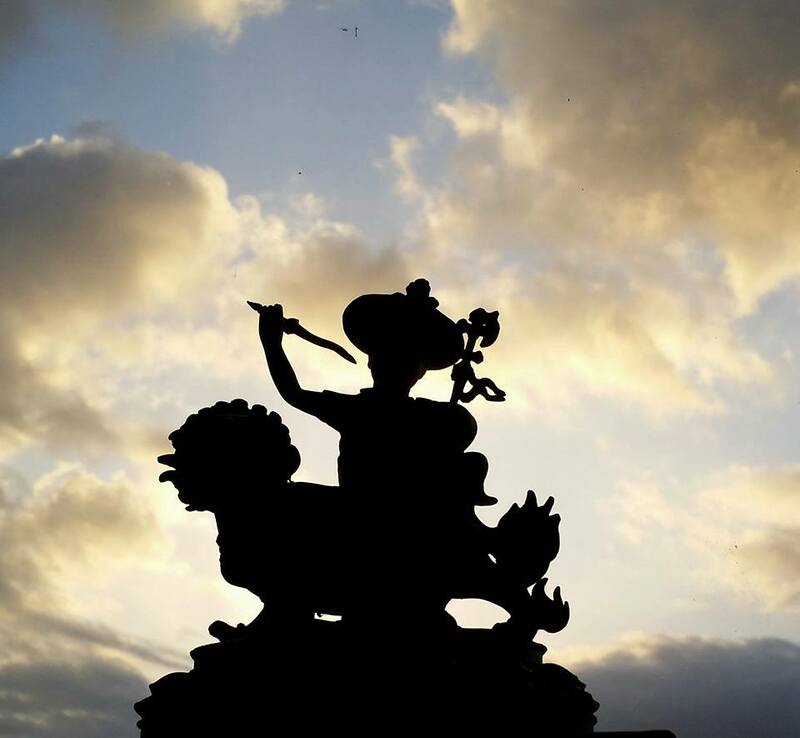 This a great article as it gives me a better understanding of merits and karma as well as a concise and easy to understand explanation of what is a Dharma protector and how beneficial it is to have a Dharma protector in our lives. I particularly like this description of a Dharma protector – a special friend who acts as a guardian angel to safeguard our spiritual path and our general wellbeing. Thank you for this article. A good one for newbies to the protector practice and for season practitioners to recap what they already know. We are fortunate to have received Dorje Shugden ‘ s practice from H.E.Tsem Tulku Rinpoche .Dorje Shugden are emanation from Manjushri Buddha and he was ready to help us by activating our positive karma and also hold back heavy negative karma from ripening. The Dharma Protector does not eliminate our negative karma but temporarily holds it at bay so that we have the opportunity to purify it until the karma is diminished or completely purified. This is how an enlightened Dharma Protector protects us. How fortunate we are able to do our dharma protector practise under the guidance of our precious guru. Although dharma protector is our guardian angle in our spiritual path and general wellbeing, we should always remind ourselves that we have to do our part in generating merits so he can help us. Dharma protector cannot eliminate our negatives karma but he does provides opportunities for us to purify our negative karma before it is ripen. Thank you for the precious teachings on Dharma Protector, i love the statement on “the Dharma Protector is going to ‘war’ with our negative karma in order to help us.” Its is so true that we have so much negative karma to block our way to our spiritual practice. 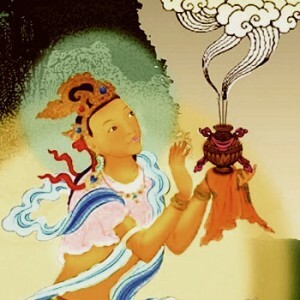 Knowing that how powerful that the Dharma protector to help us on purifying our negative karma and to block our unstable mind to practice dharma in a smoother way, its so blessed we have our Guru to guide us on our spiritual path and giving us so much knowledge to pursue our spiritual practice. This article makes me understand more on why do we need a Dharma Protector. Thank you so much Rinpoche. 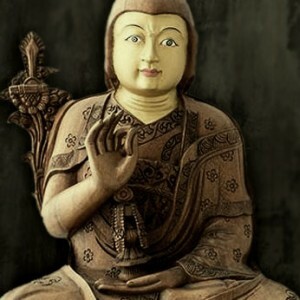 “In Buddhism, we rely only on fully enlightened Dharma Protectors, which are numerous in the Tibetan Buddhist pantheon.” This phrase is not quite accurate as the Chinese Mahayana practice does propitiate Kuan Ti: The Protector of Buddhism (http://www.buddhanet.net/e-learning/history/kuanti-txt.htm). Far as I can remember, Kuan Ti is not enlightened. But, then again that may be open to debate. Dharma Protectors are liken to the western version of guardian angels guarding our practice and spiritual well-being. That is very comforting as we can be assured of protection if we maintain a close relationship and clean samaya with our Guru who gives us the practice. “wrathful, martial-like physical appearance of the Dharma Protector is because he has to go to ‘war’ with our negative karma in order to help us.” I really like this phrase. It makes Shambala more easy to relate that my anger, jealousy, emotional ups and downs, physical obstacles are made more tangible and easily recognized for me to do battle with myself as well, to overcome these obstacles myself with the help of the Dharmapala. As this also denotes speed, speed with which the Dharmapala comes to our aid depends on our aid, the spiritual relationship we have with our teacher, the affinity we have forged with the Dharma Protector over time, and how well we keep our spiritual vows and commitments. Besides these conditions, another condition is that we need to have sufficient merits for the Dharma Protector to come to our aid. To gather the merits, we need to do acts that are virtuous and for higher purpose. “extremely helpful in reducing or removing our outer obstacles.creates positive conditions for our spiritual growth.” So, this reminds me that we all need conducive conditions to practice. That’s why Gyenze is such a draw for many beginner practitioners requesting for conducive conditions in which to be able to practice. Spiritual growth especially need to have the inner obstacles or problems removed. The last bit is very important, to me. “opportunity to purify it”. If we don’t purify the negative karma, it will always be there to ripen when the right conditions present itself. That is what I can gather from the article. So, Dharma Protectors are very important for our practice as we don’t have to be ‘looking over our shoulders’ so to say and just concentrate on the practice. I am a Pastor of Kechara and the only one for now that still have a “job” outside the organisation. My “job” is running a business. From day one of joining Kechara, Dharma Protector practice has been an important aspect for me for worldly reasons of alleviating my worldly sufferings of money, anxiety and dissapointments. That was the honest truth. But ther beauty of Protector practice is that in the prayers/Kangsol we recite verses that generate the wishes for our compassion and wisdom to arise. In conjunction with avid reading and contemplating the Dharma as taught by my Guru, H.E Tsem Tulku Rinpoche, I am glad to say a certain level of compassion and wisdom have surfaced to be in the top of my mind. As the saying goes “top of the minds is tip of the tongue”, that leads tp improvement in speech and habits that reinforces the thinking and mind which reinforces and specch…….that leads to tranformation to be a better, happier person that affects others positively. That for me, is the wonder of Protector practice. Thank You Rinpoche for the bringing to us the Dharma, partiuclarly Lama Tsongkhapa lineage practices and the Protector practices of Lord Setrap and Lord Dorje Shugden. 1) Dharma Protector acts like a guardian angel that safeguards our spiritual path. Dharma Protector is common in Tibetan Buddhism practise and there are numerous Dharma Protector in Tibetan Buddhism. 2) Dharma Protector appears wrathful because he reflects the innate quality of extreme compassion. It is just like the love of a mother to her child. It is wrath because it reflects elements of speed. When a person became angry things will move faster. 3) Dharma Protector can eliminate problems and obstacles that is blocking our spiritual path. Most importantly dharma protector creates positive condition for our spiritual growth. 4) Dharma Protector is not able to remove our negative karma but delaying it from ripening. So, we can have chance to purify our negative karma and create more merits. It is important to learn “What is a Dharma Protector”. It literally means someone who protects the Dharma in us. The wrathful form of Dharma Protectors is symbolic of the nature of the Dharma Protector’s compassion and concern for our wellbeing. It also denotes the speed of which Dharma Protector will come to our assistance. The wrathful, martial-like appearance also mean that the Dharma Protector has to go to war with our negative karma. The role and function of a Dharma Protector is to eliminate problems and difficulties that block spiritual progress. He is unable to remove all our negative karma but his power to help lies in the purification of negative karma and merits that are accumulated through his practice. The Dharma Protector temporarily holds our negative karma at bay so that we have the opportunity to purify it until the karma is diminished or completely purified. Thank you very much for this teaching. Many of us may have the problems can be very difficult or even impossible to deal with on our own. Therefore, we need to practice and propitiating dharma protector especially Dorje Shugden which is more close to us. It is believed that dharma protector does not eliminate our negative karma but temporarily holds it so that we have the opportunity to purify it until the karma is diminished or completely purified. Through this practice, we can collect merits and dedicate to family and friends who are in difficulties. I love how this post written whereby Dharma Protector does not rid of our negative karma but just to hold it at bay so that we will have the time to purify or diminish our negative karma. This is because many people often ask why we needed Dharma Protector instead of just relying on Buddha’s teaching only? As the name suggest, Dharma Protector is to protect us in our Dharma path, akin to guardian angel. Over time, I am glad that I have met this Dharma Protector. There were numerous times whereby I couldn’t believe my eyes on how He has protected me in my path. I could have very well gave up the Dharma practice when troubles keep knocking on my door and yet, He’s just there for me. I couldn’t even understand how I managed to survive in a sales job when I have zero experience on that ! Of course, I have to thank H.E the 25 th Tsem Rinpoche for tirelessly disseminating Dharma and help us to understand this Dharma Protector and the correct view on the issues surrounding it.